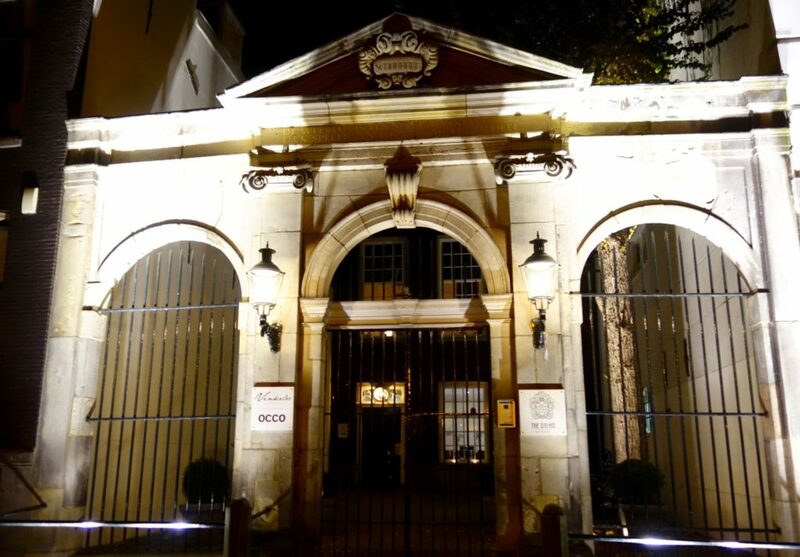 Many luxury hotels in Europe have buildings and sites that are steeped in rich history. But can history really affect a hotel experience? 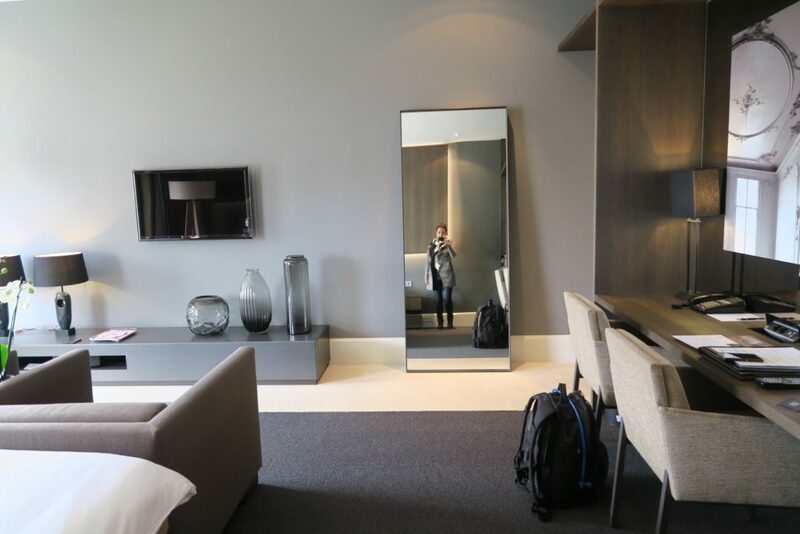 I stayed at The Dylan Amsterdam, and when I learned about the hotel’s rich history, it all made sense why I was quite impressed with my stay. 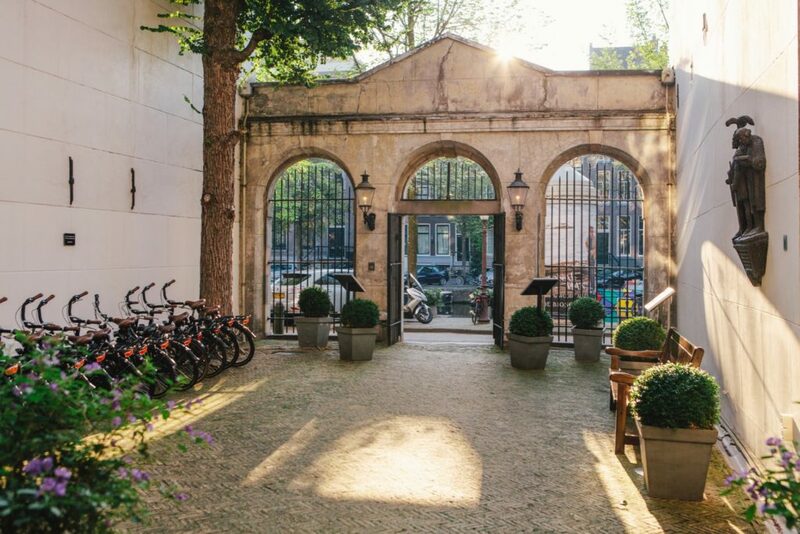 Overlooking the central canal of Keizersgracht, The Dylan Hotel Amsterdam is set within the city’s central canal-belt (known as “grachtengordel”). And while it is in the midst of all shopping and touristy places, the street itself is not too busy. 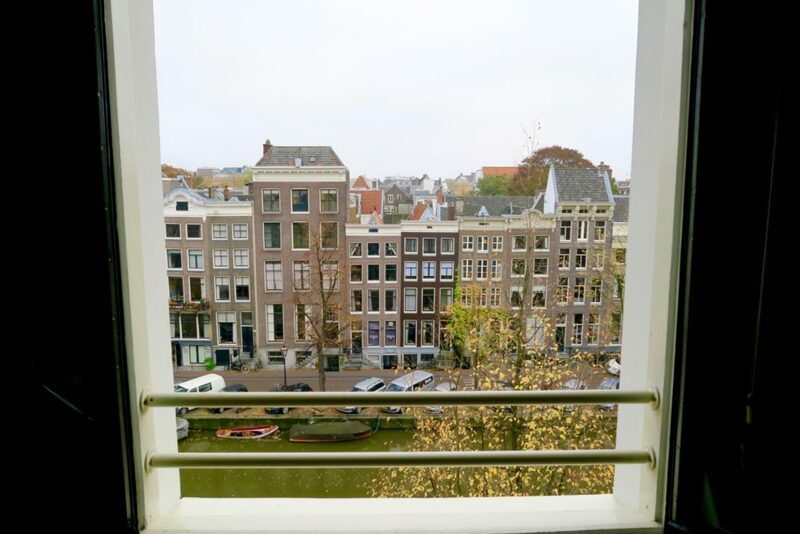 Tourists will enjoy this prime location as main attractions like the Rijksmuseum, the Van Gogh museum, the Hermitage, the Anne Frank House are just within walking distance. The history of this hotel’s site begins as far back as the early 1600’s. A doctor who was greatly interested in the arts – poetry and plays, bought this plot of land and constructed a wooden building. He then founded a theatre in the building, called “Duytsche Academie”. In 1632, the wooden building was replaced by stone. For many more years, the theatre enjoyed its success entertaining people, until that fateful day that turned out to be a black day in Dutch history. 11th of May 1772, while a performance was taking place, the building caught fire and was completely burnt down. The next year, the site was sold to one of the Roman Catholic Church’s charities, the “Old & Poor People’s Office”. The site remained so until 1998, when the building was completely renovated and reopened as a boutique luxury hotel in 1999. 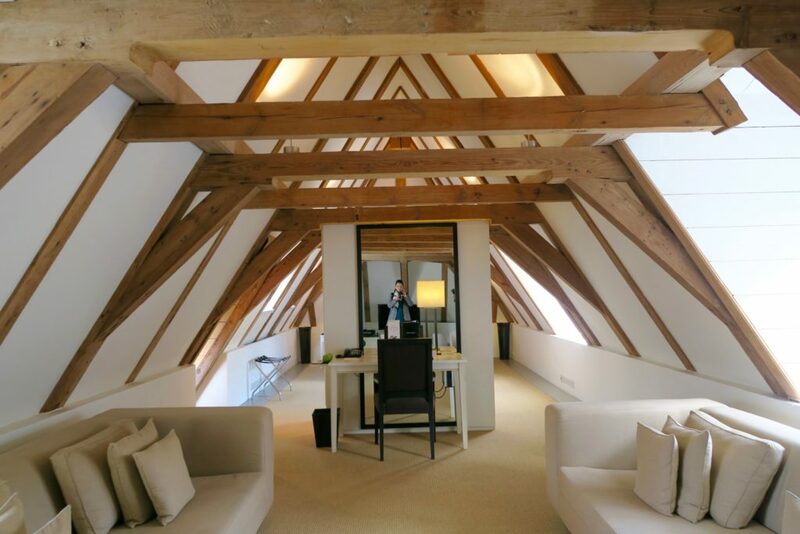 I believe that the rooms of The Dylan Amsterdam are the biggest highlight of the hotel. I’ve never seen a hotel (a boutique luxury hotel at that) that had such variety in its types of rooms. When I toured the hotel and saw its different types of rooms, I then made the connection to its theatrical past. Not to say that the rooms’ decoration is theatrical, not at all. You see, when you go to a theatre, you sit back and let your senses be entertained. I liken the experience of The Dylan Amsterdam’s rooms to being entertained. 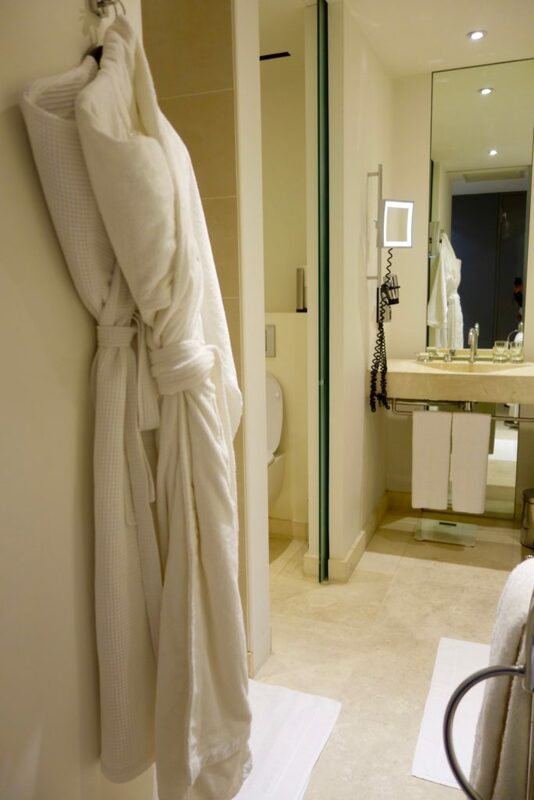 Each room takes you to an entirely different world and style of its own. First of all, let me show you our room. The Junior Suite is very spacious at 45 square metres. It is equipped with a Bose sound system with Bluetooth iPod connection, a Minibar and Illy Espresso maker. It also has a generous working desk – there are 2 chairs so two people can work side by side and has ample power outlets. The theme and feel of the Serendipity style of room/suite is quite modern, and the room even had a coffee table book entitled, “Shades of Grey”, which is very fitting for the interiors. We also had a canal view, making the Serendipity Junior Suite a popular choice among tourists. (I later learned that locals prefer rooms with a courtyard suite). 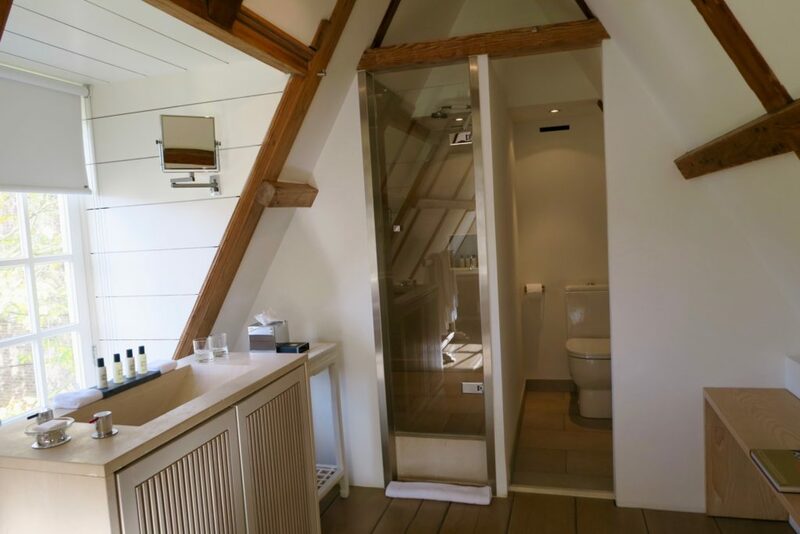 Though the bathroom is rather narrow, it does have a huge bath tub, and a separate rain shower. Toiletries are from UK (London) perfumer Miller Harris, which was amazing. 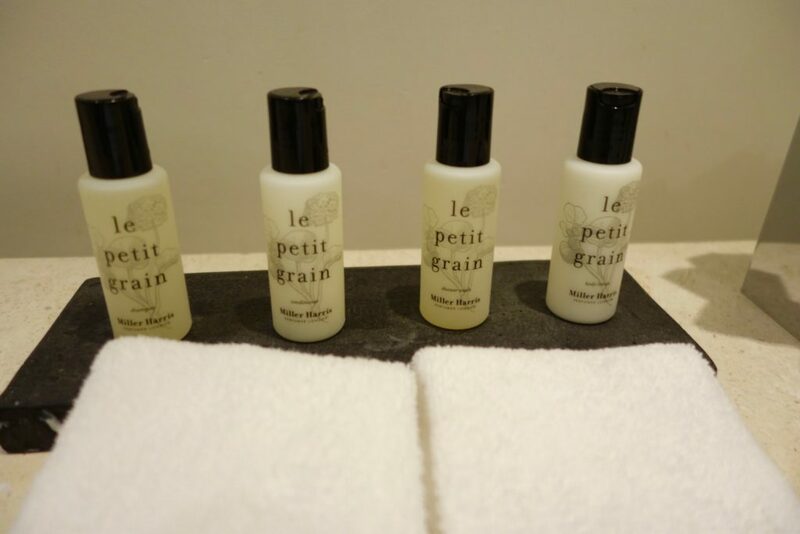 This brand is sadly not available in Australia but it is quite popular among top luxury boutique hotels so it’s an incentive to keep heading to Europe! I absolutely enjoyed the spacious and modern Serendipity Junior Suite. I definitely wasn’t expecting such vast space in Amsterdam, especially as The Dylan does not seem particularly massive when you first enter the gates. I love surprises like these! Well we certainly learn new things everyday. On this particular day, I learned that a Loxura is a type of butterfly. And the room type of Loxura in The Dylan is inspired by the natural colours of the butterfly. The main colour of the butterfly is copper with hints of neutral pearlescent / shell and this is found in all elements of the room. The Loxura rooms have either a garden or a courtyard view. The Klasbol is the most flamboyant room in The Dylan in terms of colour scheme. Raspberry red and elephant grey are the dominating colours of the Klasbol. Among all the room types I’ve seen at The Dylan, this Loft style is hands down my favourite! I love the wooden beams, light wood, and lots of natural light. This is a split-level room with either a courtyard or garden view. 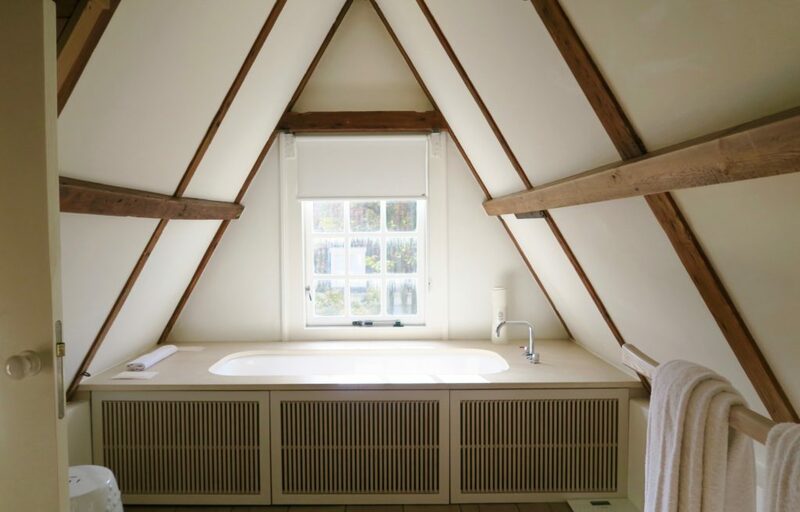 Using minimalistic furnitures only heightens the spaciousness of the loft. I mean just look at that tub! I can probably fall asleep there while having a bath and reading a book. Just gorgeous. The only downside to the Loft is the very narrow stairs that one needs to take in order to enter the room. If you have a bag bigger than a weekender or a carry-on, it would be rather cruel to have the staff carry it up. 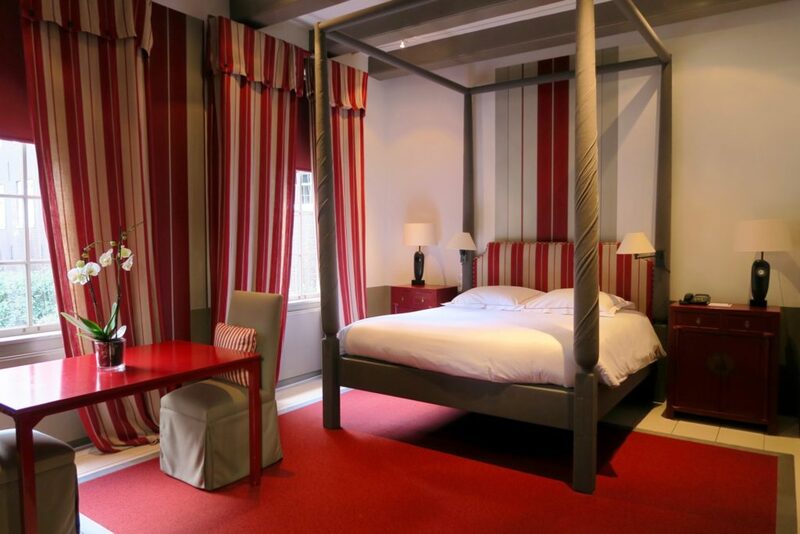 So this type of room is perfect for those spending the weekend in Amsterdam, or locals who want a staycation. The Dylan is along the UNESCO Heritage Canal Belt, so it means that they cannot fully restructure the building. I believe they did a great job in being creative with space given the limitations they have with the design. Apart from the impressive rooms, the staff at The Dylan also displayed great customer service. The check-in staff were courteous and extremely happy to orient you with surrounding places of interest. Stewart from concierge, who on that busy Saturday that I checked out of the hotel, was running a one-man show in helping guests with their luggage, was extremely professional and still had a proactive and cheerful attitude. Perfect example of ‘the swan’ attitude that staff with great customer service have – Graceful on the outside, even if their feet are paddling like crazy. You can feel the camaraderie amongst staff at The Dylan, and this is reflected on the service that they provide guests. 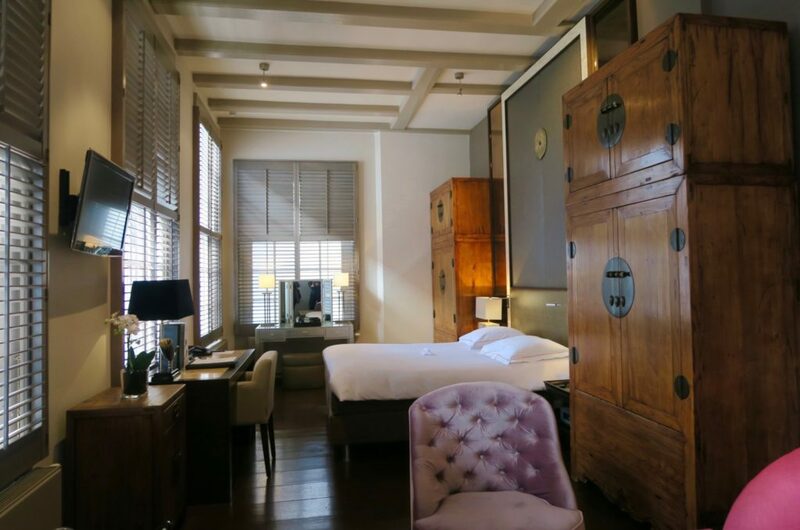 The Dylan Amsterdam is a member of the SLH (Small Luxury Hotels of the World), and to be honest, not all SLH hotels adhere to the same level of excellence and luxury, be it service or ‘hard product’. I have to say that The Dylan Amsterdam is the most impressive SLH hotel that I have been to, and some SLH hotels can definitely learn a thing (or more) from The Dylan. Which of the room types of The Dylan would you like to spend a night in? In general, do you love modern hotel rooms or rooms with themes? 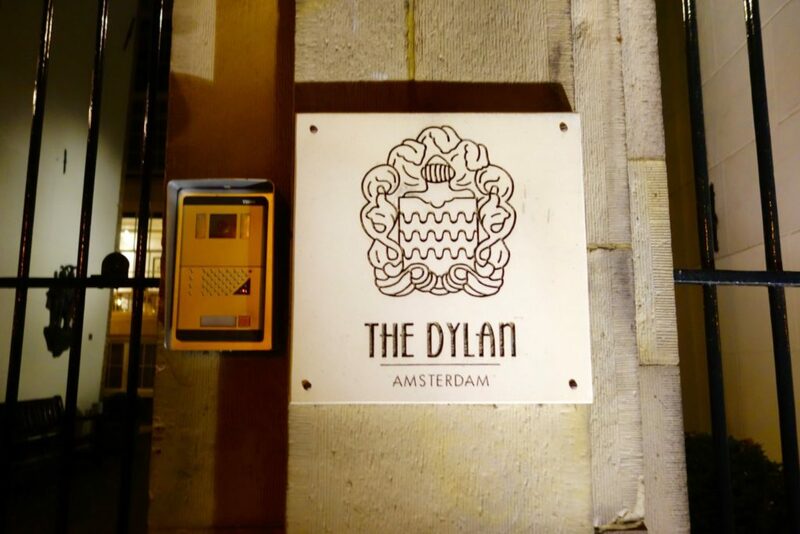 We were guests of The Dylan Amsterdam for the purpose of a review. All opinions and thoughts are mine. Such a lovely view of the canal and I also love that loft room! Hope this place improved from 10 years ago. Back then, my room was so uncomfortable. Could not wait to leave. Hi Mike! What room did you stay at and what were the inconveniences? Do not remember the name of room but you can not even walk bare feet on the floor as a huge mat was so uncomfortable. It was stuffy and I felt like I was getting bitten all night. The furnishings were old and dingy, certainly not hip. The whole design was so uncomfortable . Maybe they redid the rooms since my visit. Wow the rooms are totally different-it’s like a whole bunch of hotels in one hotel! You said it perfectly Lorraine- like hotels within a hotel! I never travel light (not even for a weekend!) so I’d have to go with the Junior suite. I love the canal view and all that space! It’s good to see a luxury hotel with five star rooms and five star service to match! This makes me want to hot foot it back to Amsterdam! Beautiful looking hotel! Tough choice between the cool diverse rooms! Having lived in Amsterdam for a few years, I know the Dylan but didn’t know its great history before reading this post. Hi Alex, yes its a tough choice as every room gives a feeling that you’re in a different hotel! I’d love to return to Amsterdam for a longer visit. Zombie is back there at the moment . so jealous! I think I saw a special offer being advertised for this hotel somewhere recently with excellent prices and a lot more affordable than the near 1000 Euros for a suite price you’ve mentioned at the end. I didn’t take a detailed look so I might have been thinking of somewhere else but it was definitely an Amsterdam hotel with photos of a loft room that looked very hotel and looking at how much history and creativity it seems to have, I might have to go back through my Internet history to try and locate where I saw it! Hi Shikha, that sounds like a bargain! The rate above is based on the hotel site’s published rates.